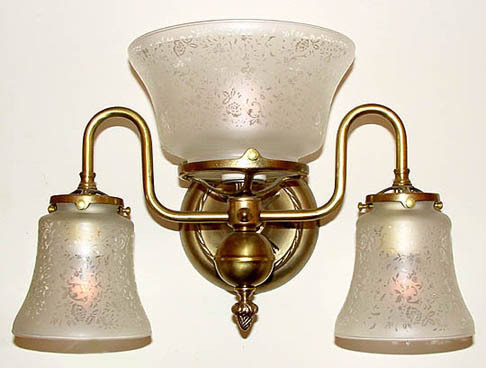 A gorgeous Colonial gas light reproduction shown with coordinated multi sized glass shades. Offers plenty of light for the powder room or as accent lighting fixtures for the dining room. Width 16 In. / Projection 9 In. / Depth 10 In.